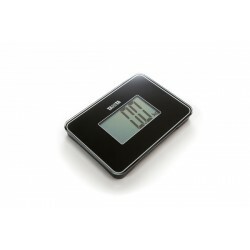 The Tanita body analysis scales BC 545 N measures 10 body values. Values like body fat percentage, body water or muscle percentage are clearly displayed. 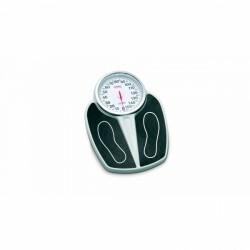 The Tanita body analysis scales BC 545 N provides measured values already after 15 seconds and indicates weight as well, of course. The Garmin Index body fat scale displays all required measuring values to record the progress of your training in figures. The scale measures the weight, the Body Mass Index (BMI), the body water percentrage, the bone mass, the body fat, and the muscle mass. Up to 16 users are automatically recognised by the scale and the data are uploaded and updated in the respective Garmin Connect account. 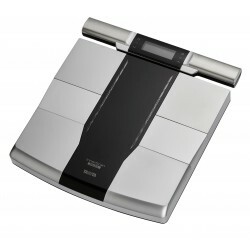 The RD 953 body analysis scale Bluetooth is the first Bluetooth Smart body fat scale of the company Tanita. Its decent look hides what is really inside the Tanita RD-901/ RD-953. Due to the dual frequency BIA measuring and the 50 g segmentation, the RD-901/RD-953 measures very precisely all in all ten body values. 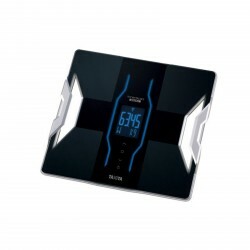 The RD 953 body analysis scale Bluetooth provides measuring values like weight, body fat percentage, body water, Body Mass Index (BMI), metabolic age as well as muscle percentage within few seconds. 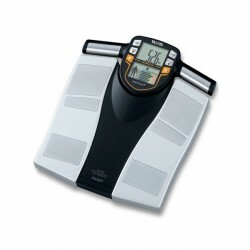 The Tanita body fat scale RD-545 is the new flagship of the company Tanita. Thanks to the two-frequency technology, you get very precise, medically precise BIA measured values like it's only known from professional, medical devices. Your body is measured in segments with the two-frequency-reactance/resistance technology, so that the values can be analysed subsequently. The sturdy Soehnle Professional mechanic personal scales 6163 is ideal for daily use. You immediately see your weight on the circle hand display. The Soehnle Professional mechanic personal scales 6163 has a weighing range of 160 kg. Measure easily your abdominal body fat in centimeters and track your progress on the way to your defined abs with the Tanita measuring device for visceral fat Style Leader. 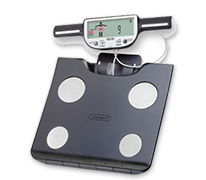 The Tanita body fat scale BC-730 is compact body fat scale with a multitude of important and helpful functions. It promisses highest precision and recognises you as user after entering your data. It is ideal to analyse body fat, body water, metabolic water, and many more. 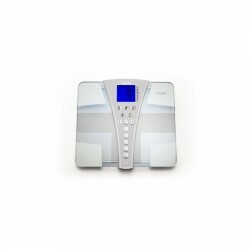 The Tanita BC-718 is a compact body fat scale, which offers you an ideal overview about important parameters like weight, BMI, bone mass, whole body water, fat mass in % as well as muscle mass. For the exact measuring, Tanita uses the two-frequency measuring with bioelectric impedance analysis as well as a very sensible weighing technique in 100 gramme increments and a body measuring in 0.1 % increments. 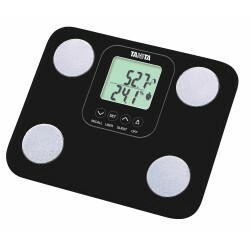 Purchase the Tanita scale HD-386 - a practical accessory for your next holiday. Thanks to its compact dimensions and a low weight, the Tanita HD 386 is ideal as travel companion. 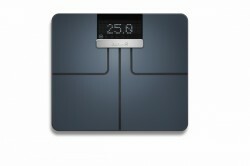 No matter whether your baggage or yourselves - the Tanita scale HD-386 measures exactly to 100 g and that up to 150 kg. 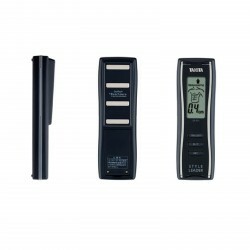 The Tanita body composition monitor BC587 does not only look precious, its functions will be inspiring. By means of the bio electrical impedance analysis, the BC587 shows extensive data of your body which are important for health. Besides weight and body fat percentage, the Tanita balance calculates body water percentage, metabolism age, and other useful data as well. That's how the Tanita BC 587 becomes a useful partner for a healthy lifestyle. Eat well-balanced, do some sports, and look good - it's of great importance for many people nowadays. The focus is on observing the weight, managing the food intake, and observing the body composition. Get a detailed overview about the inner health and lose healthy weight with scales and fat measuring devices. Soehnle and Tanita body fat measuring devices calculate the composition of your body in many ways: weight, Body Mass Index (BMI), body fat percentage, muscle mass, and body water. The principle of bio-impedance is used here: the electrical body resistance is measured. The Soehnle wellness system offers a wide range of functions, starting with highly precise body weight measuring and body fat analysis up to food management - best comfort possible! 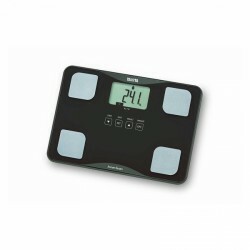 Tanita body analysis scales also convince by wide-range functions. We offer you Tanitamodels, which include your upper and lower part of the body into the measuring. The so-called segment measuring considers all body parts (arms, legs, trunk) and gives a very precise measuring of the whole body composition! Using the Tanita software, you can comfortably analyse and evaluate your results on your own pc. You are always informed about your body composition with our scales and fat measuring devices and can control the success of your efforts. You really manage your body and control professionally the loss of weight!